Clogging incidents are annoying, to say the least, and nobody wants them to happen. In spite of that though, they do take place when you least expect them to. 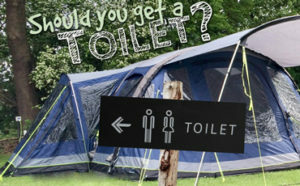 As a matter of fact, this could happen even with the high-quality toilets on the market. 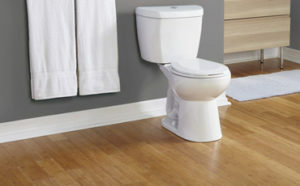 While there are some ways in which you can prevent toilet clogs, today we’ll talk about the steps you should follow if that happens. 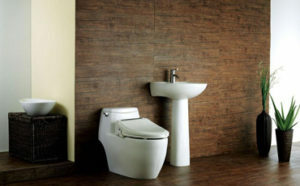 First and foremost, if a toilet gets clogged and the water level reaches the top of the bowl, under no circumstances should you keep on flushing repeatedly, hoping that it will clear itself. In fact, this is the last thing you should do, as you might just cause a lot of mess. On the opposite, you should focus on the overflowing water first. 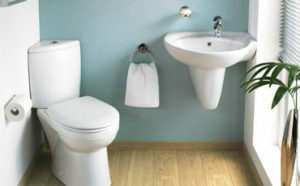 If you have to, you can shut off the water valves. After the water has gone down for good, you should proceed to the next steps. 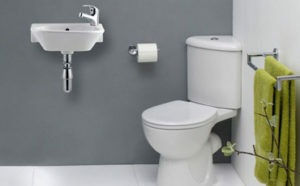 This is, perhaps, the simplest solution, and it can be used with almost all types of toilets, including tankless toilets, wall-hung toilets or corner toilets. You will need a bucket filled with hot water. Still, bear in mind that the water shouldn’t be too hot, as this might eventually cause the bowl to crack, and you don’t want that. After pouring it into the toilet, allow it to sit there for a while. 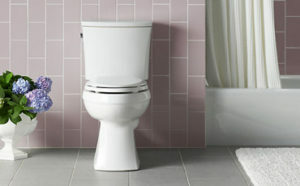 The hot water should contribute to breaking down the waste so that you can successfully flush it down the toilet. 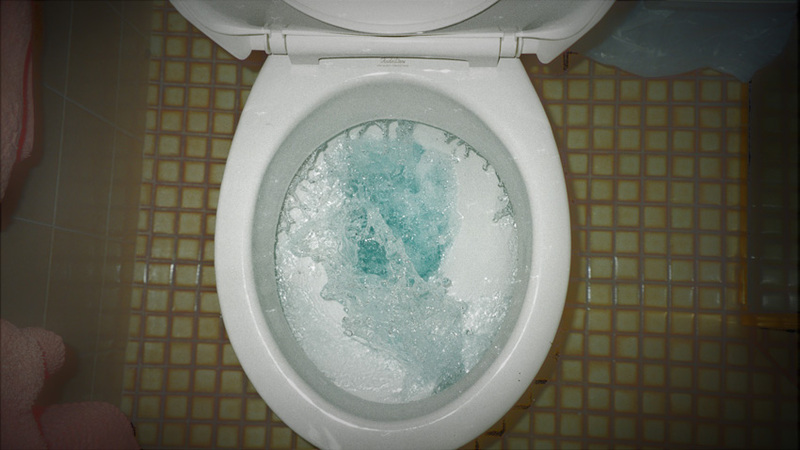 Even though you might find it hard to believe that you can unclog a toilet by simply using hot water and dish soap, this is actually a really efficient solution. However, in order for this to work, make sure you add a generous amount of dish soap. Hopefully, the soap in combination with the hot water will break down the solids. If you don’t have dish soap, you could try using shampoo instead. If you allow the dish soap to do its job, you’ll see that things start to move around. For the most part, in about half an hour or so, the waste should be dissolved. In extreme cases, though, you might need to allow the dish soap to stay overnight. 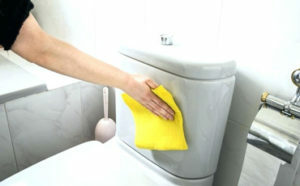 In case you’re dealing with a clogging incident at a friend’s house, and you are too embarrassed to leave the bathroom to get some dish soap, for example, you could attempt using Epsom salts instead. If you cannot find any, a spare bath bomb might work, as well. Throw these into the toilet bowl so that you can get things moving. 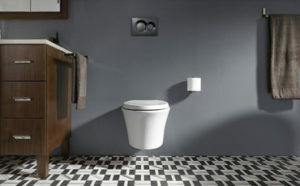 Another method that might turn out to be quite effective is using a toilet brush. Each bathroom should have such a tool. 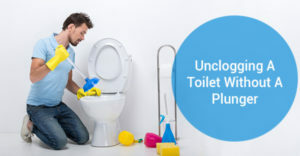 The good thing about this method is that you could actually use the toilet brush in the same way as you would use a plunger. 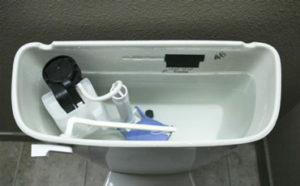 That is to say, you should hold the handle while pushing the bristles in the drain hole. Furthermore, you should give a few powerful pumps. Once you do that, you can step away. 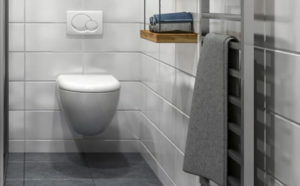 Even though this is rather gross, this could help prevent the toilet from overflowing, which is the last thing you want to happen, especially if you’re visiting a friend. 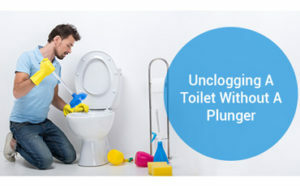 Furthermore, you could also consider using a wire hanger for unclogging a toilet without a plunger. Preferably, though, the wire hanger should have a plastic coating – otherwise, you are likely to scratch the bowl. Now, what you should do is unwind and straighten the wire as much as possible. 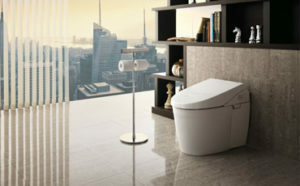 Once you do that, you can proceed to insert it into the toilet bowl. You should try to break down the solid waste as much as possible. 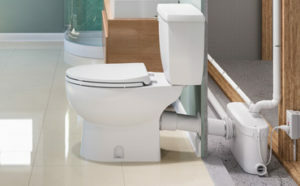 Afterward, you can attempt to flush the waste down the toilet. 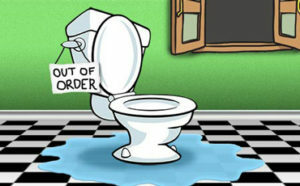 As you can see, even if you don’t have a plunger, there are still some efficient ways in which you can unclog a toilet. Depending on the things you have at hand, you could try one of the methods outlined above and see which one works best for you.